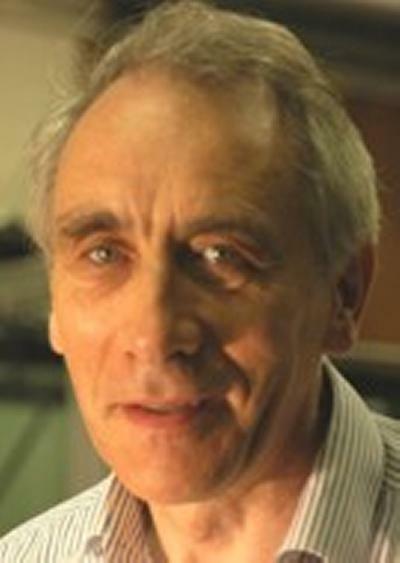 Prof. John Chaplin is an Emeritus Professor within Engineering and Physical Sciences at the University of Southampton. He graduated in Civil Engineering at the University of Bristol in 1967 and obtained a PhD from the same department three years later. After a research assistant post in hydromechanics at Karlsruhe University, Germany, he joined Rendel Palmer and Tritton, consulting engineers, London, where he supervised research on flow-induced vibrations of the rising sector gates of the Thames Barrier. In 1974 he was appointed Lecturer in Civil Engineering at the University of Liverpool, where he worked on wave loading on offshore structures and developed a track record for innovative large scale laboratory experiments. In 1985 he moved to British Maritime Technology Ltd as a research engineer in the same field, and a year later was appointed to the Chair of Hydraulics at City University London. After well-funded research on a wide range of problems in fluid-structure interaction he became Professor of Applied Fluid Mechanics at the University of Southampton in 1999, where he specialises in water wave mechanics, vortex-induced vibrations, and wave energy conversion. He is no longer taking on research assistants or students. This project is focused on flexible risers, whose response is likely to be more complex than that of the vertical tension risers that we have studied before. Numerical modelling is proceeding in parallel with dedicated laboratory experiments taking place in a large recirculating water channel in France. Both laboratory experiments and numerical modelling will help to determine whether the concept of variable geometry can be usefully applied to the difficult problem of converting wave energy into electricity. In this project we are comparing measurements of waves radiated by various body motions with analytical predictions. Some interesting differences emerge. Murzyn, F., Mouaze, D., & Chaplin, J. R. (2007). Air–water interface dynamic and free surface features in hydraulic jumps. Journal of Hydraulic Research, 45(5), 679-685. Schønberg, T., & Chaplin, J. R. (2003). Computation of non-linear wave reflections and transmissions from a submerged horizontal cylinder. International Journal of Offshore and Polar Engineering, 13(1), 29-37. Hayashi, K., Higaki, F., Shigemura, T., & Chaplin, J. R. (2003). Vortex-excited vibration of a circular cylinder in planar oscillating flow. International Journal of Offshore and Polar Engineering, 13(4), 266-273. Hayashi, K., & Chaplin, J. R. (1998). Vortex excited vibration of a vertical circular cylinder in waves. International Journal of Offshore and Polar Engineering, 8(1), 66-73. Chaplin, J. R. (1997). History forces and the unsteady wake of a cylinder. Journal of Fluid Mechanics, 393, 99-121. Chaplin, J. R., Rainey, R. C. T., & Yemm, R. W. (1997). Ringing of vertical cylinder in waves. Journal of Fluid Mechanics, 350, 119-147. Chaplin, J. R. (1996). On frequency-focusing unidirectional waves. International Journal of Offshore and Polar Engineering, 6(2), 131-137. Chaplin, J. R., & Retzler, C. H. (1995). Predictions of the hydrodynamic performance of the wave rotor wave energy device. Applied Ocean Research, 17(6), 343-347. Chaplin, J. R., Subbiah, K., & Irani, M. (1994). Effects of wave directionality on the in-line loading of a vertical cylinder. International Journal of Offshore and Polar Engineering, 4(3), 206-211. Chaplin, J. R. (1991). Loading on a horizontal cylinder in irregular waves. International Journal of Offshore and Polar Engineering, 1(4), 247-254. Chaplin, J. R., & Retzler, C. H. (1992). Fluid loading on pontoon sections. London, GB: Health and Safety Executive. Chaplin, J. R. (Ed.) (1990). The computation of non-linear waves on a current of arbitrary non'uniform profile. London, GB: Stationery Office Books. Subbiah, K., Chaplin, J. R., & Irani, M. (1995). Loading on a vertical cylinder near mean water level in long-and-short-crested waves. In ISOPE 95, 5th International Offshore & Polar Engineering Conference; The Hague, The Netherlands (pp. 324-331). Cupertino, US: International Society of Offshore and Polar Engineers. Chaplin, J. R., Bearman, P. W., Graham, J. G., Subbiah, K., Otta, A., Mackwood, P., & Wouters, J. (1994). Loading on a cylinder at large scale in irregular waves with currents. In International Symposium on Wave-Physical and Numerical Modeling (pp. 1133-1142). Vancouver, CA: UBC. Chaplin, J. R. (1993). Pressure distributions on a cylinder in oscillatory flow at high Reynolds numbers. In H. Eckelmann, J. M. R. Graham, P. Huerre, & P. A. Monkewitz (Eds. ), Bluff-Body Wakes, Dynamics and Instabilities: IUTAM Symposium, Göttingen, Germany, September 7-11, 1992 (pp. 119-122). Berlin, DE: Springer Verlag. Chaplin, J. R., & Flintham, T. P. (1992). Breaking wave forces on tubulars. In L. Boswell, & C. D. Mello (Eds. ), Recent Developments in Jack-up Platforms (pp. 246-265). Oxford, GB: Wiley-Blackwell. Holmes, P., Chaplin, J. R., & Tickell, R. G. (1983). Wave loading and structural response. In Design in offshore structures (pp. 3-13). London, GB: Institution of Civil Engineers. Chaplin, J. R., & Anastasiou, K. (1980). Implications of some recent developments in gravity wave theories. In 17th International Conference on Coastal Engineering, Sydney, 23-28 March 1980 (pp. 31-49). Reston, US: American Society of Civil Engineers. Evans, D., Porter, R., & Chaplin, J. (2018). Extraordinary transmission past cylinders in channels. Paper presented at 33rd International Workshop on Water Waves and Floating Bodies, Guidel-Plages, France. Hayashi, K., Tada, T., Shigihara, Y., & Chaplin, J. R. (2018). Power generation using non-linear vortex-excited vibration of a horizontal circular cylinder in unidirectional flow. In Proceedings of the 28th International Ocean and Polar Engineering Conference, ISOPE 2018 (Vol. 2018-June, pp. 1011-1018). International Society of Offshore and Polar Engineers. Mendes, A., Braga, F. P., Parades, L. M. A., & Chaplin, J. R. (2017). Performance assessment of the Anaconda WEC in regular waves at 1:50 model scale. Paper presented at 36th ASME International Conference on Ocean, Offshore and Arctic Engineering, Trondheim, Norway. Kurniawan, A., Greaves, D., Hann, M., Chaplin, J., & Farley, F. (2016). Wave energy absorption by a floating air-filled bag. Paper presented at 31st International Workshop on Water Waves and Floating Bodies, Plymouth, MI, United States. Chaplin, J., Farley, F., Kurniawan, A., Greaves, D., & Hann, M. (2015). Forced heaving motion of a floating air-filled bag. Paper presented at 30th International Workshop on Water Waves and Floating Bodies, Bristol, United Kingdom. Chaplin, J., & Rainey, R. C. T. (2012). Long duration experiments in irregular waves, to determine 10,000-year wave loads on a 3.5m diameter vertical cylinder. Paper presented at 27th International Workshop on Water Waves and Floating Bodies, Copenhagen, Denmark. Hearn, G. E., Chaplin, J., Palmer, A., Soares, C. G., & Kishev, R. (2010). Experimental investigation of the motions and internal free surface profiles of a damaged ship. Paper presented at HYDRALAB III Joint User Meeting, Germany. Farley, F. J. M., Chaplin, J. R., Hearn, G. E., & Rainey, R. C. T. (2009). Persistent modes for water waves and a bulge tube in a narrow channel. Paper presented at The 24th International Workshop on Water Waves and Floating Bodies (IWWWFB), Russian Federation. Hearn, G. E., & Chaplin, J. R. (2008). The fluid structure interaction of wave energy devices: some old and some new theoretical and experimental challenges. Paper presented at The Royal Institution of Naval Architects Conference on marine renewable energy, . Chaplin, J. R., Farley, F. J. M., Prentice, M. E., Rainey, R. C. T., Rimmer, S. J., & Roach, A. T. (2007). Development of the Anaconda all-rubber WEC. Paper presented at 7th European Wave and Tidal Energy Conference, . Chaplin, J. R., Farley, F. J. M., & Rainey, R. C. T. (2007). Power conversion in the Anaconda WEC. In Proceedings of the 22nd International Workshop on Water Waves and Floating Bodies (pp. 29-32). Unknown. Blenkinsopp, C. E., & Chaplin, J. R. (2007). Validity of small-scale physical models involving breaking waves. 13-16. Paper presented at 22nd International workshop on water waves and floating bodies (Proceedings), . Bourdier, S., & Chaplin, J. R. (2007). Vortex-induced vibrations of a rigid cylinder on non-linear elastic supports. In 2006 Proceedings of the ASME Pressure Vessel and Piping Conference: Volume 9, 6th FSI, AE & FIV and N Symposium USA: American Society Of Mechanical Engineers (ASME). Bearman, P. W., Chaplin, J. R., Fontaine, E., Graham, J. M. R., Herfjord, K., Lima, A., ... Willden, R. H. J. (2006). Comparison of CFD predictions of multi-mode vortex-induced vibrations of a tension riser with laboratory measurements. Paper presented at Proceedings of the 6th International Conference on FSI, AE & FIV+N, ASME PVP Division summer meeting, . Chaplin, J. R. (2006). The hydrodynamic forces acting on a long flexible circular cylinder responding to VIV. PVP2006-ICPVT11. Paper presented at Proceedings of the 6th International Conference on FSI, AE & FIV+N, ASME PVP Division summer meeting, . Blenkinsopp, C. E., & Chaplin, J. R. (2005). Measurements of air/water interfaces in plunging breaking waves. Paper presented at 20th International Workshop on Water Waves and Floating Bodies, . Colicchio, G., Bulgarelli, U. P., & Chaplin, J. R. (2005). Numerical and experimental investigation of the flow field around a surface piercing plate. Paper presented at 20th International Workshop on Water Waves and Floating Bodies, . Huera Huarte, F. J., Bearman, P. W., & Chaplin, J. R. (2005). On the force distribution along the axis of a flexible circular cylinder undergoing multi-mode vortex-induced vibrations. Paper presented at Proceedings of the 4th Conference on bluff body wakes and vortex-induced vibrations, . Chaplin, J. R., Bearman, P. W., Cheng, Y., Fontaine, E., Graham, J. M. R., Herfjord, K., ... Willden, R. H. J. (2004). Blind predictions of laboratory measurements of a vortex-induced vibrations of a tension riser. 285-290. Paper presented at 8th International conference on flow-induced vibrations (proceedings), . Chaplin, J. R., & Mouazé, D. (2004). Disturbed-laminar flow over an oscillating cylinder. XXI International Congress of Theoretical and Applied Mechanics, . Chaplin, J. R. (2004). Non-linear run-up on a vertical cylinder surface-piercing cylinder. OMAE2004-51549. Paper presented at Proceedings of the 23rd OMAE Conference, ASME, . Chaplin, J. R., Mouaze, D., & Murzyn, F. (2004). Turbulence at free surface in hydraulic jumps. PaperHT-FED04. Paper presented at Proceedings 2004 ASME Heat Transfer/Fluids Engineering Summer Conference, . Chaplin, J. R. (2003). Level-set modeling of the two-phase flow generated by a surface piercing body. Paper presented at 18th International Workshop on Water Waves and Floating Bodies, . Chaplin, J. R., Dunn, D. C., Peregrine, D. H., Mouaze, D., & Murzyn, F. (2003). Turbulence at the free surface. Paper presented at 18th International Workshop on Water Waves and Floating Bodies, . Chaplin, J. R. (2003). Visualizations of wave-induced flow over ripples. Paper presented at Euromech 451: Sea wave bottom boundary layer, . Chaplin, J. R., & Rainey, R. C. T. (2003). Wave breaking and cavitation around a vertical cylinder: Experiments and Linear Theory. Paper presented at 18th International Workshop on Water Waves and Floating Bodies, . Chaplin, J. R. (2002). Level-set simulation of the vertical flow generated by a surface piercing body. Paper presented at 5th Numerical Towing Tank Symposium, . Chaplin, J. R. (2002). Steady and unsteady flow in wave-induced boundary layers. 139-142. Paper presented at 17th International Workshop on Water Waves and Floating Bodies, . Chaplin, J. R. (2001). Computation of non-linear wave reflections and transmissions from a submerged horizontal cylinder. 280-287. Paper presented at 11th International Offshore and Polar Engineering Conference, . Chaplin, J. R. (2001). Non-linear wave interactions with a submerged horizontal cylinder. 272-279. Paper presented at 11th International Offshore and Polar Engineering Conference, . Chaplin, J. R., & Hiroshima University (Japan) Department of Engineering Systems (2001). The bow wave of a vertical surface piercing cylinder in a steady current. In K. Mori, & H. Iwashita (Eds. ), Proceedings of the International Workshop on Water Waves and Floating Bodies (16th) Held in Hiroshima, Japan on April 22-25, 2001 (pp. 13-16). Hiroshima University. Chaplin, J. R., & Teigen, P. (2000). Drag on a vertical cylinder at a free surface. Paper presented at IUTAM Symposium on Bluff Body Wake s and Vortex-Induced Vibrations, France. Mendes, A. C., Kishev, R., Chaplin, J. R., & Tomchev, S. (2000). Experimental determination of the hydrodynamic loading on a model of offshore platform in waves and current. In Proceedings of the Tenth International Society of Offshore and Polar Engineers (pp. 196-203). Mountain View, US: The International Society of Offshore and Polar Engineers. Retzler, C. H., Chaplin, J. R., & Rainey, R. C. T. (2000). Transient motion of a vertical cylinder: Measurements and computations of the free surface. In T. Miloh, & G. Zilman (Eds. ), Proceedings 15th International Workshop on Water Waves and Floating Bodies (pp. 154-7). Tel-Aviv, Isreal: Tel Aviv University. Chaplin, J. R., & Ikeda, Y. (1999). Viscous forces on offshore structures and their effects on the motion of floating bodies. In Proceedings of The Ninth (1999) International Offshore and Polar Engineering Conference (pp. 1-11). Mountain View, US: The International Society of Offshore and Polar Engineers. Chaplin, J. R., Retzler, C. H., & Rainey, R. C. T. (1999). Waves generated by a vertical cylinder moving in still water. In Proceedings of the 14th International Workshop on Water Waves and Floating Bodies (pp. 21-24). Oxford, GB: International Workshop on Water Waves and Floating Bodies. Chaplin, J. R. (1998). History forces on a cylinder resulting from an impulsive change in the direction of the incident flow. Paper presented at Summer Annual Meeting, American Society of Mechanical Engineers Fluids Engineering Division, United States. Chaplin, J. R., & Bao, X. L. (1997). Forces on a large cylinder in an elliptical orbital flow. Paper presented at Conference on Modern Mechanics and Advancement of Science and Technology in Society, China. Chaplin, J. R. (1997). Hydrodynamic damping of cylinders in still water, in currents and in oscillatory flow. Paper presented at International Workshop on Environmental Loading on Offshore Structures, . Chaplin, J. R., & Retzler, C. H. (1996). Forces on a horizontal cylinder in waves and currents. Paper presented at International Conference in Ocean Engineering, COE'96, . Chaplin, J. R. (1996). On the mechanics of ringing in offshore structures. Paper presented at International Conference in Ocean Engineering (COE'96), . Chaplin, J. R., & Subbiah, K. (1996). Wave and current loads on large scale horizontal cylinders. Paper presented at International Conference in Ocean Engineering (COE'96), India. Chaplin, J. R., & Lakkoju, V. N. M. R. (1994). Loading and response of a compliant cylinder in oscillatory flows at higher Reynolds numbers. Paper presented at International Symposium: Waves- physical and numerical modelling, Canada. Chaplin, J. R., Subbiah, K., & Irani, M. (1992). Local forces on a vertical cylinder in regular and irregular waves. Paper presented at 2nd International Conference on Offshore and Polar Engineering, United States. Chaplin, J. R., & Hayashi, K. (1991). Damping of a vertical cylinder oscillating in still water. In Proceedings of the First (1991) International Offshore and Polar Engineering Conference, Edinburgh, UK, August 11-16, 1991 (pp. 346-353). Mountain View, US: International Society of Offshore and Polar Engineers. Chaplin, J. R. (1990). Computation of step waves on a current with strong shear near to the surface. In A. Torum, & O. T. Gudmestad (Eds. ), Water Wave Kinematics: Workshop Proceedings (pp. 429-436). (NATO Science Series: E: Applied Sciences). UK: Kluwer Academic. Chaplin, J. R., & Hayashi, K. (1989). Lift forces on a rigid vertical cylinder in waves. In Proceedings of the Eighth International Conference on Offshore Mechanics and Arctic Engineering, The Hague, The Netherlands, March 19-23, 1989 (pp. 279-287). New York, US: American Society Of Mechanical Engineers (ASME). Chaplin, J. R. (1988). Non-linear forces on horizontal cylinders in the inertia regime in waves at high Reynolds numbers. Paper presented at 5th International Conference on Behaviour of Offshore Structures, Norway. Chaplin, J. R. (1987). Hydrodynamic loading: some recent developments in wave loading on offshore structures. Paper presented at International Symposium on the problems of structure strength in Marine Technology, Croatia. Bearman, P. W., Chaplin, J. R., Graham, J. G., Kostense, J. K., & Klopman, G. (1985). The loading on a cylinder in post-critical flow beneath periodic and random waves. Paper presented at 4th International Conference on Behaviour of Offshore Structures, Netherlands. Chaplin, J. R., Tickell, R. G., & Anastasiou, K. (1982). The non-linear properties of random wave kinematics. Paper presented at Third International Conference on the Behavior of Offshore Structures, United States. Chaplin, J. R. (1981). Boundary layer seperation from a cylinder in waves. In K. M. Gisvold (Ed. ), Proceedings of International Symposium on Hydrodynamics in Ocean Engineering. The Norwegian Institute of Technology, Trondheim, Norway, August 24-28, 1981 (pp. 645-666). Trondheim, NO: Norwegian Hydrodynamic Laboratories. Chaplin, J. R., & Holmes, P. (1979). Wave loads on horizontal cylinders. In Coastal Engineering (1978 Germany). Proceedings of Sixteenth Coastal Engineering Conference, Hamburg, Germany, Aug. 27 - Sept. 3, 1978 (pp. 2449-2460). New York, US: American Society of Civil Engineers. Heller, V., Chaplin, J. R., Farley, F. J. M., Hann, M. R., & Hearn, G. E. (1970). Physical model tests of the anaconda wave energy converter. Paper presented at First European Congress of the IAHR, . Chaplin, J. R., Greated, C. A., Flintham, T. P., & Skyner, D. J. (1993). Breaking wave forces on a vertical cylinder. (Offshore Research Report Series). London, GB: Her Majesty's Stationary Office. Chaplin, J. R., Retzler, C. H., & Health and Safety Executive (1993). Influence of waves and current on separation and forces. (UK Health and Safety Executive Reports). London, GB: HSE Books. Chaplin, J. R., Greated, C. A., Flintham, T. P., & Skyner, D. J. (1992). Breaking wave forces on a vertical cylinder. (Offshore Technology Report). London, GB: Health and Safety Executive. Chaplin, J. R. (1988). Loading on horizontal cylinders in irregular waves at the Christchurch Bay Tower and at the Delta Flume. London, GB: Department of Energy.